The Opportunity rover touched down on the Red Planet in January 2004, on a mission which lasted just 90 Martian days, when each Martian day is 40 minutes longer than an Earth day. The National Aeronautics and Space Administration’s (NASA) Opportunity rover completed 5000 days on Mars on Friday, and to celebrate this achievement, clicked selfies and sent to the agency. The team members if the Opportunity rover gave another surprise to the NASA officials, wherein they discovered possible ‘rock strips’ in Perseverance Valley, a channel that cuts through the western rim of Mars’ 14-mile-wide (22 kms) Endeavour Crater. The photos sent by the Opportunity rover reveal dirt and gravel have been arranged into apparent strips, might be by wind, downhill tumbling, repeated cycles of freezing and thawing over the eons, or a combination of all these factors, the rover team members said. The Opportunity rover made a land on the Red Planet weeks after its twin, Spirit, landed there. Both rovers looked for a sign of past water activities on the planet, and found evidences in large quantities. Spirit found what appeared to be an ancient hydrothermal system where hot water flowed and bubbled through rock. Spirit became silent in 2010, and NASA declared the rover dead a year later, in 2011. But Opportunity rover continued its off-world driving record, which stands at 28.02 miles (45.1 km) and counting. 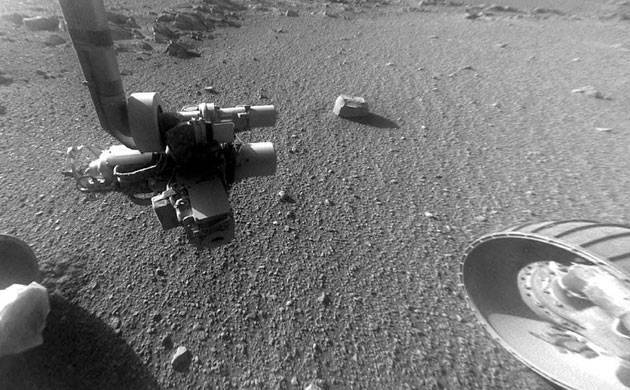 The rover has sent about 225,000 images back to the Earth during its time on the Red Planet, the mission officials said.